Roxann Dawson is best known for her role as B'Elanna Torres on Star Trek: Voyager. Roxann Dawson removing a purple nightgown to show a bare back from Star Trek: Voyager. 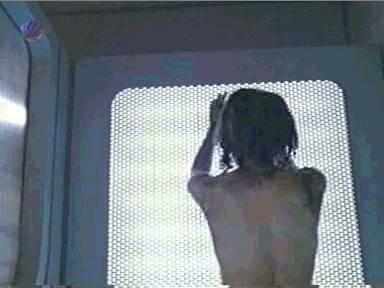 Roxann Dawson removing a shirt and going into a mist shower from Star Trek: Voyager.